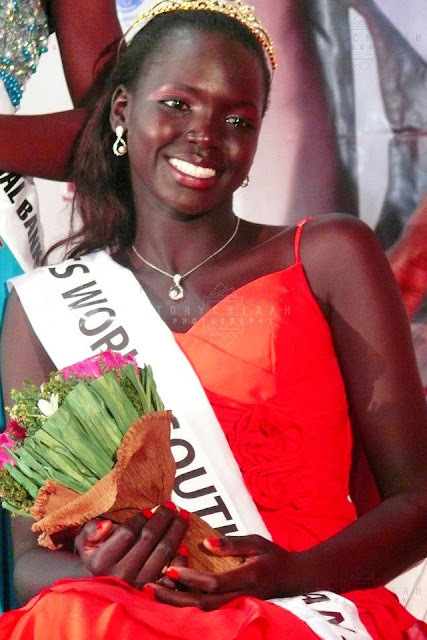 Manuela Mogga Matong, 21, won the Miss World South Sudan 2013 title at the Freedom Hall in Juba on Saturday, April 13th. 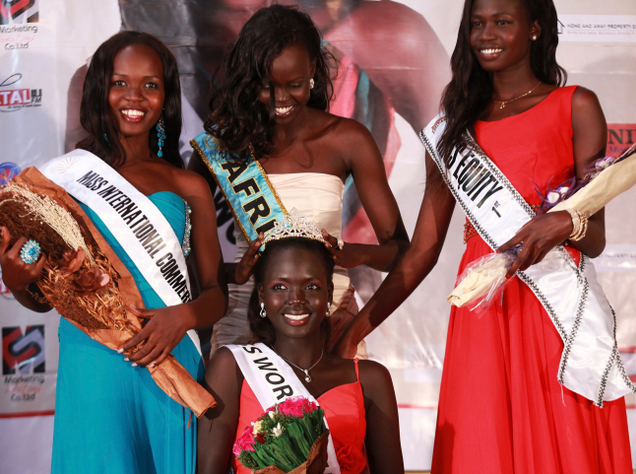 She was crowned by Miss World Africa 2012 Atong Demach. Matong will compete in Miss World 2013 pageant to be held in Indonesia in September. The 1st runner-up is Gigita Grace and the 2nd runner-up is Ajak Abiel.